How many YB station join to IOTA contest 2014 on 26-27th July? I am checking this website everyday. I hope many YB station join to IOTA contest 2014. 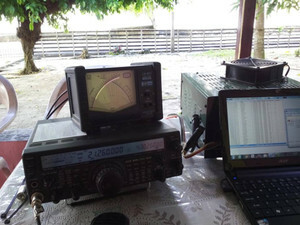 In IOTA contest 2014 list has no YB stations. Wow. 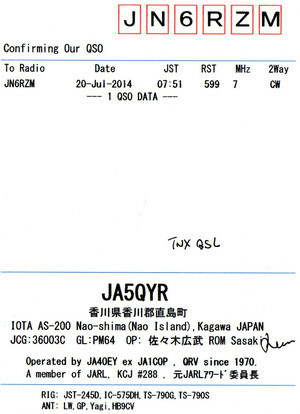 Please please join to IOTA contest 2014. 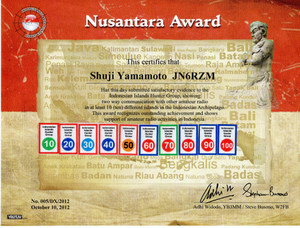 I hope many stations are able to enjoy for Nusantara Award. NA-070 is off the table. I tried to show my son a day ago how to do a “bunny hop” on his bike and I can hardly walk now. 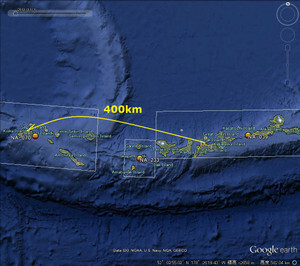 We are still going to Adak, but everything (antennas installation) will be much slower. Ups... I also will be active from Tambelan island OC-122 on August 2-9, 2014. 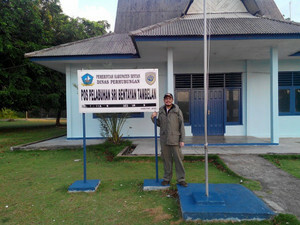 Thanks for your visiting to my Blog. And sorry for Japanese only. 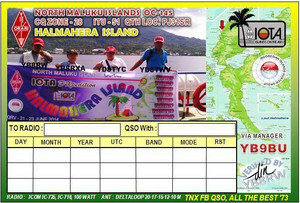 for IOTA operation and DX operation. I think so. Do not worry. 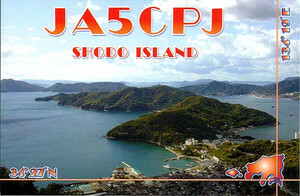 I am announcing to many Japanese Island peditioners. 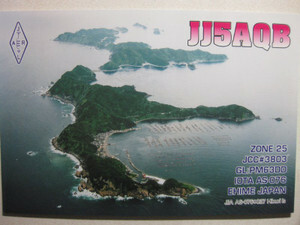 We will have summer vacation around 19th July to around 10th Sep.
For example, my friend JF4VZT Yuu lives in Okayama city. 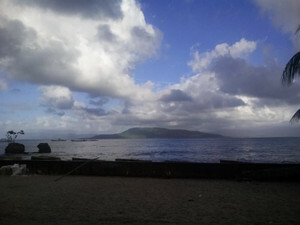 He says he can go to AS-200 Yo-shima Island, taking about 30 min by car. 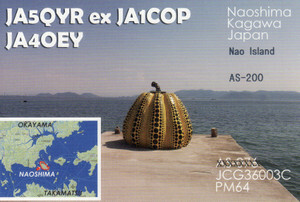 Kagawa, Ehime(JA5) and Hyogo pref(JA3). 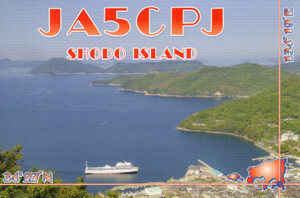 Probably, some portable stations will be QRV from AS-200 Islands. Because I joined to IOTA Marathon for 2 year, I have watched them/5. 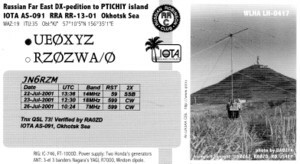 Cezar (VE3LYC) and Bob (KD1CT) will attempt to operate from Matthew Is. (OC-218) for 4 days between Sep 1 and 9, 2014.
activity. Contacts do not count until a new valid operation has taken place. It may not be possible to transfer past credits that now qualify for AS-200P. 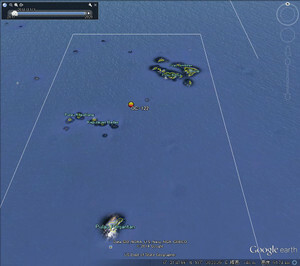 Note: The island entry against AS-076 will be amended. Convention, held in Windsor, England over the weekend 4 to 6 July 2014. IOTA Rule Changes 2014 on http://www.g3kma.dsl.pipex.com). 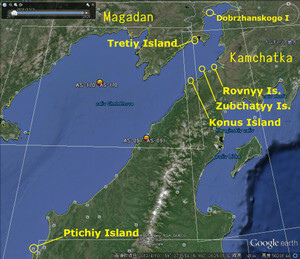 if it has clear-cut information covering all operations in the old group. In two cases this may not be possible. awards as shown in the Directory. Earth. 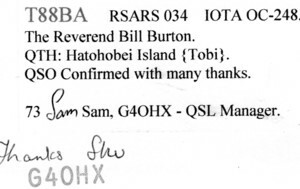 No known previous amateur radio activity. 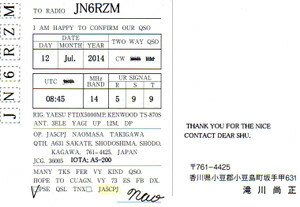 from AF-024 and the 'co-ordinates box' amended. the scroll down list on the application page on the RSGB website shortly. against AS-076 will be amended. a new valid operation has taken place. the 'co-ordinates box' will be amended. 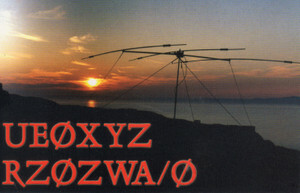 1991), RZ0ZWA/0 and UE0XYZ (both July 2001) - and this will remain AS-091. latter is not split sovereignty. 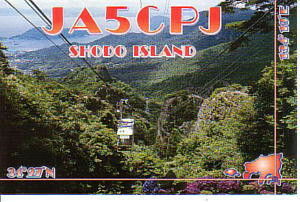 No known previous amateur radio activity. from NA-009 that now qualify for NA-248P. 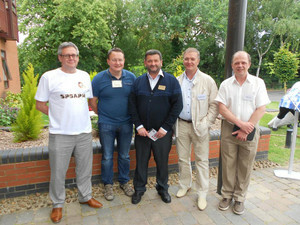 ELEVEN NEW IOTA GROUPS were announced at IOTA’s 50th Anniversary Convention, held in Windsor, England over the weekend 4 to 6 July 2014. Some result directly from the rule changes announced in the latest IOTA Directory published in May 2014. Others were put forward by IOTA participants. 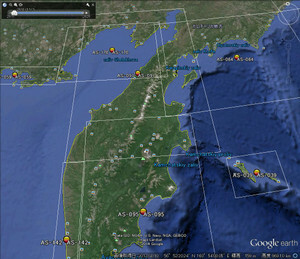 A list can be seen at http://www.g3kma.dsl.pipex.com. All new groups have provisional numbers. 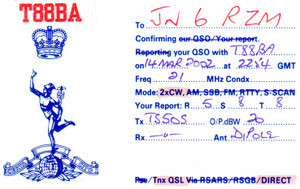 This means that they will need to be confirmed by an operation taking place after 5 July 2014 that meets the 1000 QSO and other normal validation requirements. 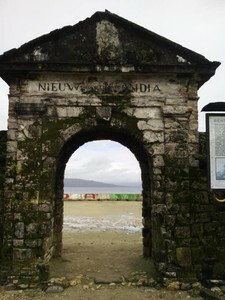 Only after confirmation of the number will credit for past operations be considered. These changes will be uploaded to the web-site when cards are in circulation, time permitting. 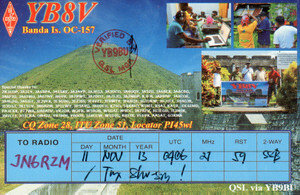 QRV on 40-10m, CW with some SSB. 100w and vertical. P.S. 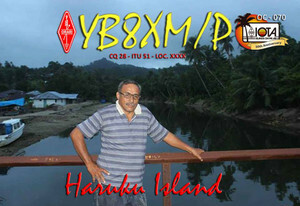 Thanks my friend YB8XM OM Joppy. You are my great IOTA-peditioner. 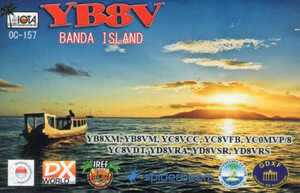 This operation is the 1st QSO on YB8V at 0406UTC 11th Nov 2014. I was listening on 21260 then. 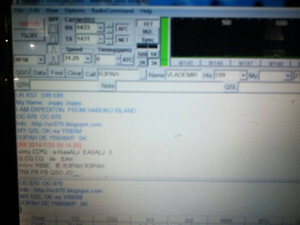 OM Joppy checked this frequency. I called him and came back to my call from YB8V. 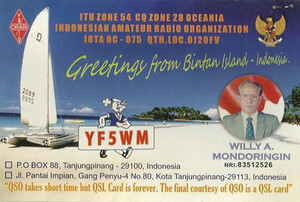 This is the memorial QSO. 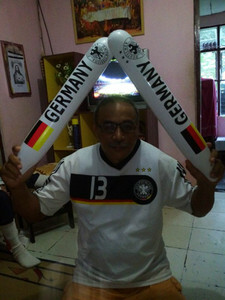 Thanks OM Joppy. 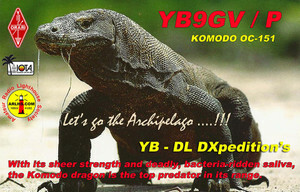 Arigatou-gozaimasu & Terima kasih for YB8XM Joppy. 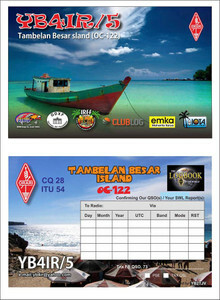 My IOTA OC-248 credit may transfer to OC-296. 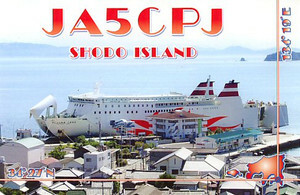 (祝)AS-200P Shikoku Coastal Islandsがnew IOTAに決定! NEW IOTA REFERENCEs announced ! 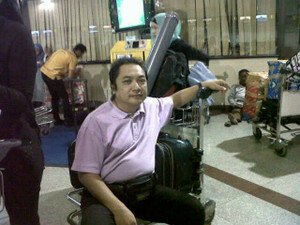 「Shuji Yamamoto Adhi-san, Din-san, thanks for your supporting and planning. Especially, thanks for using Paypal account to YB3MM for long time. But we have problem for YB9BU's QSLing. In USA, they don't get IRC in US postal office from 2014. All US postal offices have not IRCs now. 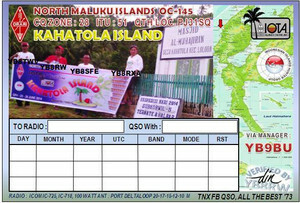 All US Islands chasers have problem for YB9BU's QSLing. In Japan, the central postal office has little IRCs. but little postal offices have not IRC. I am very not useful. And IRC is very expensive in JA. YB9BU need 2 IRCs. 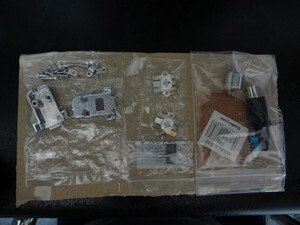 It's cost are 300yen(3USD). 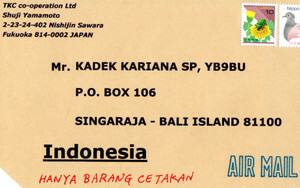 We need 3USD+postage(abt 1USD). YB9BU became hight cost QSLing for me. How about your getting IRC in your country? I would like to know how to get IRC in another conutry. My friend Mario DL5ME wants to send you his small donation by Paypal. Do you make your Paypal count? Do you have credit card VISA and so on? I.m sorry until now I have no Paypal,no credit card etc etc. In my small city we have only Western Union hi hi..
About in postal service,I already received in safely from Japan is BY EMS (Express Mail Service) How about you Shu-san ??? Please let me know,many thank's. Very sorry for this unconevinience.